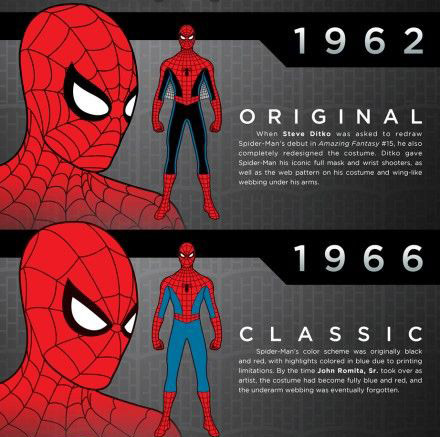 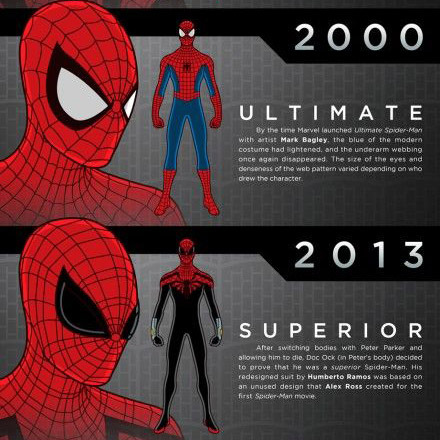 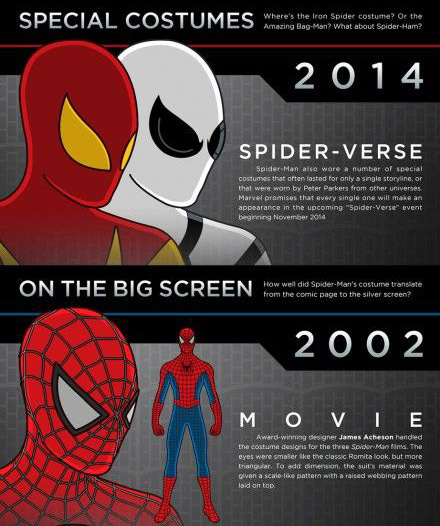 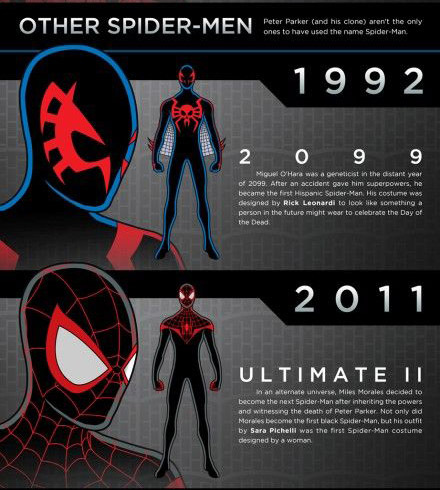 We all love Spider-Man that is why he has been so successful since the 1960’s. 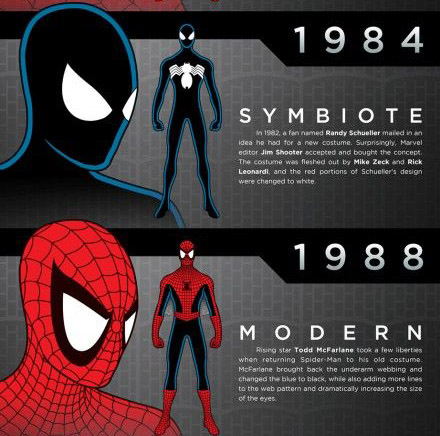 Having played several Spider-Man games over the years one of our favorite things are finding and using the different costumes. 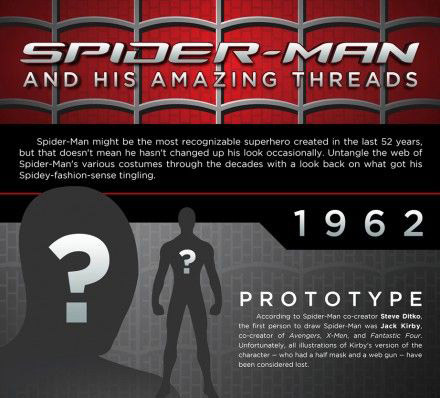 We found this infographic that was created by Halloween Costumes.com. 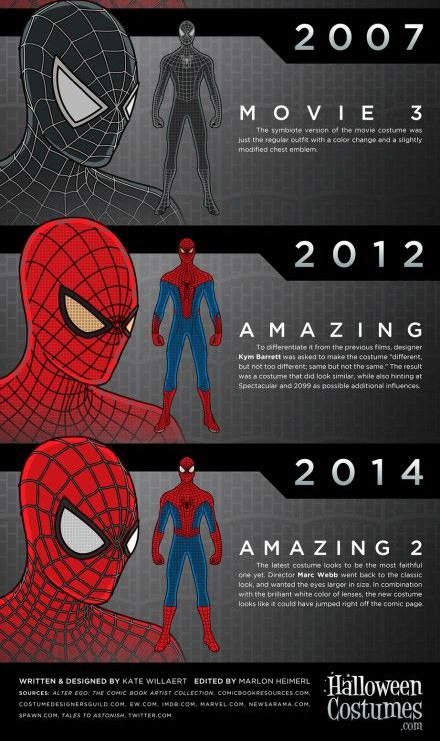 They give a great look at the changes that have been made over the years. 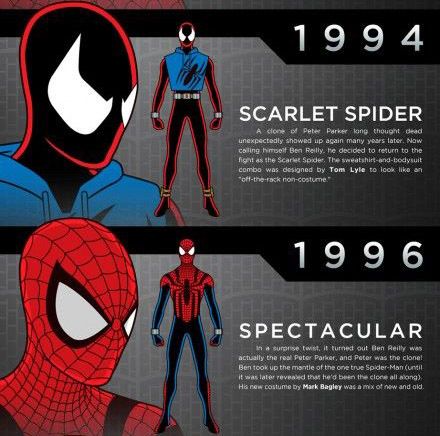 If you look you will see that the main costume or the most well-known red and blue costume has not changed that much since 1966.